Another weekend and another warrior get-away: Lake Minnewaska (again). 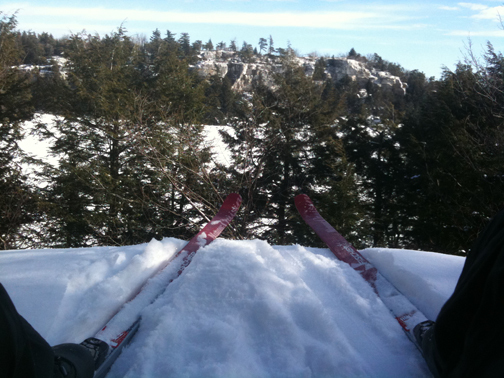 Didn’t have to go too far — Minnewaska is about two hours north of NYC, and at least there was snow. Rock and Snow on Main Street in New Paltz provided the skis, boots and poles for I think $17, and you can pick up virtually anything you need there for this trip or any trip really.